Reverse Osmosis is one of the most popular and widely used water purificatiuon process within the current market. 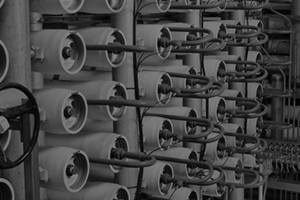 Allowing an extremely high level of purity with a relatively low capital cost and even less user intervention, most Reverse Osmosis Systems are entirely automatic. To read more please see the PDF. Also known as base exchange, water softening by ion exchange is now accepted as the most reliable and efficient method of ensuring Total Hardness removal for your water using application. Raw water as supplied to your premises contains Calcium and Magnesium, contributing to what is termed “Hardness” in the water. Temporary hardness in particular, Calcium and magnesium Bicarbonate, decomposes on heating to form Calcium and Magnesium Carbonate (with the egress of Carbon Dioxide), these are insoluble and are the primary constituents of common scale. Further scale components are present in water as permanent hardness, these do not decompose on heating however will precipitate if sufficient evaporation of the water occurs. Depended upon your water source and application, the presence of suspended solids or filterable contaminants can have dramatic effects, ranging from simple process inefficiencies, through to catastrophic damage to downstream equipment. Due to the diverse nature of the contaminants removed, all our filtrations systems are individually specified, these range around a core of technologies. UV is now a tried and tested technology across a wide spectrum of applications. This not only covers disinfection, but can also be used for TOC/Ozone and free chlorine destruction as an alternative to media based systems. Borehole or private water supply treatment is a complex subject requiring specialist assessment and advice. Osmotic solutions is familiar with the common issues surrounding borehole water usage and has implemented a range of site specific solutions to treat these supplies. This has included a range of oxidants to allow precipitation of iron/manganese, and oxidation of hydrogen sulphide, eg online chlorine dioxide dosing systems incorporating live level monitoring, Filox filtration, aeration systems and high efficiency sand filtration. We can also complete a suite of sampling to ensure compliance to private water supplies regulations. In addition, we are happy to provide early stage assistance, arranging for hydrogeological surveys, drilling surveys and environment agency engagement. A specialist supplier, Osmotic Solutions benefits from superior pricing from a range of suppliers of chemical dosing equipment and can specify the product most appropriate to your needs. Our preferred manufacturer is Iwaki, due to superior build quality and ease of programming. 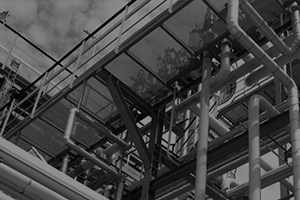 Osmotic Solutions can offer a range of process control equipment to compliment your system dealing with manufacturers as diverse as Endress and Hauser, ABB and GF. 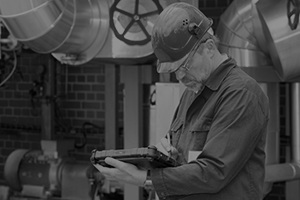 Offering products ranging from watermeters to ultrasonic level sensors and remote dataloggin equipment, due to the diverse range of needs within this area, we recommend you get in touch for a free proposal. Integral to water treatment is the movement of the water within the system and no water treatment system will function without a correctly sized and specified pumping arrangement. Our offering not only covers individual pumps, for direct replacement, but can specify for new for almost any water moving application. 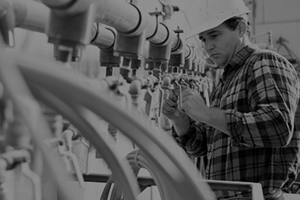 Our design team can utilise a range of common pump brands such as lowarra or grundfos and often include bespoke control arrangements to meet duty/standby or duty/assist with auto fault changeover function, ensuring complete redundancy for your system. In addition to water movement pumps, Osmotic Solutions can assist in the specification and supply of dosing/metering pumps and accessories for a wide range of chemicals. Thanks to supplier relationships and a long history within the water treatment industry, Osmotic Solutions obtains favourable pricing for many routine products used within water treatment which, it is pleased to pass on to its clients, allowing pricing far lower than the trade discounts usually allowed to individual clients. This includes, ABS and PVC pipework, fittings and valving, installation and supporting metalwork and plastics, small and large bore copper pipework in a range of jointing methods. 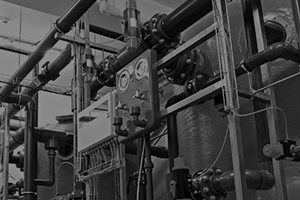 These are complimented by the expertise of a team of experienced pipefitters who can meet your needs in almost any material required, including X-ray certification and high pressure testing.